for $319,712 with 4 bedrooms and 2 full baths, 1 half bath. This 2,656 square foot home was built in 1945 on a lot size of 236X409X236X409. 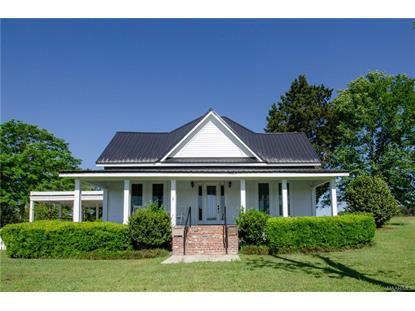 THIS BEAUTIFULLY RESTORED VINTAGE FARMHOUSE LOCATED ON 2.22 ACRES WILL NOT DISAPPOINT!!! 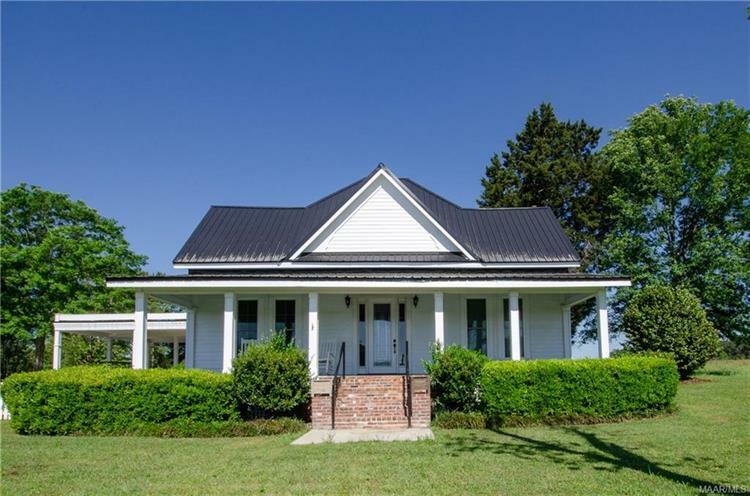 !COMPLETELY REBUILT IN 2017 FROM THE STUDS UP BY BUILDER WHO PAID CLOSE ATTENTION TO EVERY DETAIL MARRYING THE PAST WITH THE PRESENT... HARDWOOD FLOORING, 5" CROWN MOLDING, CHAIR RAIL, 5" BASEBOARD, 5" WINDOW CASINGS AND 12' CEILINGS THROUGHOUT HOME. SPACIOUS CUSTOM CABINETS IN BATHS AND KITCHEN HAVE SOFT CLOSE FEATURE WITH MODERN ACCENTS. THE GORGEOUS LEAD GLASS DOOR WILL WELCOME YOU INTO THE GRAND ENTRY HALL WHERE HIGH CEILINGS, HARDWOOD FLOORS, AND LOADS OF CROWN MOLDING, CHAIR RAIL AND BOX PANELS LINE THE WALLS. FAMILY ROOM HAS PLENTY OF SPACE WITH A CUSTOM BUILT-IN WALL UNIT, 12' CEILINGS, RECESSED LIGHTING, FRENCH DOORS THAT OVERLOOK THE HUGE YARD AND WALK OUT TO A COZY COVERED PORCH. CHEF KITCHEN IS AMAZING WITH COFFERED CEILING, GRANITE COUNTER TOPS, STAINLESS APPLIANCES, DOUBLE OVENS, GAS COOKTOP, PREP SINK, RAISED DISHWASHER, AND AN EAT IN BAR FOR 4. SEPERATE DINING ROOM IS LARGE ENOUGH TO SEAT 8 OR MORE, SURROUNDED WITH BOX PANELING DETAIL AND ACCENTED WITH LOVELY FARMHOUSE PENDANT LIGHT. MASTER BEDROOM HAS ENSUITE BATH WITH RETRO OCTAGON TILES, GRANITE SURROUND IN SHOWER AND DOUBLE SINK VANITY. LARGE WALK IN CLOSET WITH CUSTOM SHELVING CONNECTS TO THE LAUNDRY ROOM FOR EASY ACCESS. LARGE SECOND BEDROOM ALSO HAS WALK IN CLOSET AND ENSUITE BATH WITH SUBWAY TILES, LARGE COUNTER SPACE, AND BEADBOARD TRIM. BEDROOMS 3 AND 4 HAVE GAS FIREPLACES, CEILING FANS, ALOT OF OUTSIDE LIGHT NO CLOSETS....THERE IS PLENTY OF ROOM FOR LARGE ARMOIRES. HALF BATH IS TASTEFULLY DONE WITH CUSTOM STORAGE, PEDISTAL SINK AND BEAUTIFUL FLOORING.STORM SHELTER ATTACHED TO HOME FOR 8 AND BUILT TO CODE. SMALL STORAGE/PLAYHOUSE BUILT TO MATCH HOME SURROUNDED WITH FIG, PECAN, CEDAR TREES, WHITE PICKET FENCING, AND FIELDS OF COTTON **SMART ALARM SYSTEM, TANKLESS WATER HEATER, DOUBLE-HUNG VINYL WINDOWS, METAL ROOF, 100 GAL PROPANE TANK, TERMITE BOND!! MUST SEE THIS ONE!